I just finished reading a wonderful book called In Her Wake: A Child Psychiatrist Explores the Mystery of Her Mother's Suicide, by Nancy Rappaport. I get sent a lot of books to review, several per week, but who has the time to read them all, much less review them? And I have to say when I read the rather depressing title, I was not highly motivated, especially since my own mother committed suicide when I was 20. I wasn't thrilled about the prospect of reliving that painful time in my life. But once I cracked the book open I realized that this was not a depressing memoir, but a fine work of literature with the flair and suspense of a mystery novel. Here is the book's opening sentence: "The day my mother killed herself, she had just finished her house on Marlborough Street for the anticipated return of her children after a fierce custody battle with my father." That hooked me and kept me reading for the next 282 pages. We learn much about families and how they are torn asunder by divorce, and how divorce, in this case, led to tragedy. The author did a huge amount of research, finding journals and letters and even an unpublished novel written by her mother, and we read excerpts that give us an astonishing sense of being in the mind of a woman spiraling toward suicide. This was a remarkably intelligent and accomplished person who lived in a heady social circle including the top political and economic figures in Boston in the 1950s. Her husband, Jerome Rappaport, was the real estate developer who razed Boston's storied West End and built high rise condos in its place. Having done my residency at Mass General, which is adjacent to the old West End (now the Charles River Park development), I had heard many stories about the controversial urban renewal project and was therefore particularly fascinated to meet the so-called "villain" behind the project. Suffice it to say that the reality of the project was much more nuanced than the popular legend. Equally fascinating are Rappaport's colorful descriptions of marital and family life in the 50s and 60s. We read about spouse-swapping (visions of Updike), about a gigantic blended family of 11 children piling into a station wagon for a cross-country trip (visions of Nabokov, minus the pedophilia), and vicious fights between an estranged husband and wife, with small children watching, cringingly, from the sidelines. There's really so much more to this book than I would have predicted. I highly recommend it. The specs: In Her Wake: A Child Psychiatrist Explores the Mystery of Her Mother's Suicide, Nancy Rappaport, New York: Basic Books, 2009, web site http://www.inherwake.com/. The "banality of evil" is a phrase coined by Hannah Arendt in 1963. She was referring to the theory that throughout history evils have been committed not by fanatics and outliers, but by ordinary people taking cues from their culture. While accepting money from drug companies for marketing is hardly “evil” in Arendt’s sense, modern academic medicine has also normalized behaviors which are morally unacceptable. Let’s call it the banality of greed. Given this background, I was fairly nonplussed by the news in the Boston Globe that Dr. Lawrence Dubuske resigned from Harvard’s Brigham and Women’s hospital so that he could stay on the drug company gravy train. The hospital's new policy forbids faculty members from giving promotional talks. Dr. DuBuske made just shy of $100,000 in 3 months of speaking for GlaxoSmithKline (according to the company's physician registry), which implies a windfall of $400,000 a year if he kept up that pace. He also speaks for six other companies, and consults for another six, so the chances are good that Dr. DuBuske clears $2 million a year as a hired gun. Is anybody really surprised that he would choose to stop seeing patients for one day a week in order to maintain his life style? Out of curiosity, I looked into his background. On a superficial level, Dubuske’s career trajectory is a duplicate of that of many academic physicians over the last couple of decades. He got onto the fast track through a combination of his obvious intelligence and drug company partnerships. If you plug his name into Pubmed, you’ll find an impressive 46 articles on various topics related to allergies and asthma. Most of the articles are funded in one way or another by drug companies. For example, he did a clinical trial of Zyflo for Abbott in 1997, he studied Salmeterol for GlaxoSmithKline in 1999, and over more recent years he did several studies for Schering Plough on the antihistamines Claritin and Clarinex. One of his papers, apparently ghost-written by Schering Plough, argued that not all antihistamines can cause cardiac arrhythmia, especially not Claritin and Clarinex. So far, pretty standard stuff--just Dr. DuBuske playing his small part in the larger permeation of medicine by the pharmaceutical industry. But then we learn that Dr. DuBuske is the director of "IRINE" (Immunology Research Institute of New England) a non-profit organization that collaborates with doctors in Eastern Europe for research and education. At first glance, it sounds like an altruistic organization. A Harvard professor brings world class medical education to underfunded medical systems that have recently thrown off the yoke of Communism. But digging into the web site, you start to get the unsettling impression that IRINE is no more than a global marketing vehicle for drug companies. For example, there is this long list of cities around the world where IRINE has presented “symposia.” We're not talking just Warsaw and Lodz—over the last several years, Dubuske and his IRINE colleagues have presented symposia in Bangkok, Buenos Aires, Vancouver, Sydney, Munich, Paris, Amsterdam, Bucharest, and the list really does go on. At least some of these symposia, and probably all of them, were funded by drug companies—for example, Dubuske and his colleagues at IRINE were funded to speak in Barcelona by Allergy Therapeutics in 2008, and in Goteberg Sweden by ALTANA Pharma in 2007. So what is IRINE, anyway? Who founded it? Who really runs it? Where does it get all the money to run its dozens of international symposia? Since IRINE is a non-profit, its tax returns are public. I looked them up on the web site Guidestar.org (it is free, but requires a one time registration to login). The most recent tax return, which you can view here without logging in, is from 2007, and it lists Lawrence M. DuBuske as the "President and Director." There is "0" income and "0" expenses. How do you travel to dozens of cities to give lectures without money being exchanged somewhere? Good question; I called IRINE to ask it. The contact page on the web site lists Ilona DuBuske (Dr. DuBuske's wife--there is a photo of the two of them on the IRINE site) as the "research administrative coordinator" and provides a phone number. I called it and a woman answered "Hello?" 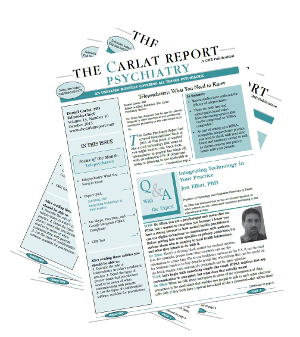 "Hi," I said, "I'm Dr. Carlat from the Carlat Psychiatry Blog and I have some questions about your organization." " I’m sorry I cannot answer any question, please don’t call this number.” And she hung up. I then sent my questions to IRINE's email address but I have yet to receive a response. I wondered if IRINE's global headquarters were at Dr. DuBuske's house, but IRINE's address is in Gardner Mass, while his home is listed in nearby Harvard Mass. Best case scenario: IRINE is a mom and pop operation that operates out of a small office and does a lot of good work around the world, but keeps poor records and needs to improve its customer service. Worst case scenario: Only Dr. DuBuske knows for sure. The JAMA study on the effectiveness of antidepressants has occupied everybody's attention--though perhaps excessively in light of the catastrophe in Haiti. I just read Richard Friedman's response to the study in the New York Times and I agreed with his argument, in which he criticizes the study's methodology, arguing that it is based on a relatively small number of studies, and that studies were chosen that maximize, rather than minimize, the placebo effect. As I review the various comments about the study, both on my blog and elsewhere, what strikes me is how polarized the debate has become. On one side are those who defend the efficacy of drugs, and on the other side are those who denigrate the medication option and argue that psychotherapy is the true cure for depression. This is yet another version of the old and tiresome nature vs. nurture debate, which has been a staple of the rancorous psychiatrist vs. psychologist turf wars ever since I started my residency at Mass General in 1992. In one corner of the boxing ring are those "biological psychiatrists" who argue that depression is essentially a biochemical disorder that is logically treated using agents that adjust the biochemistry. In the other corner are those who argue that depression is a response to life stress and is best treated by therapy techniques that help people cope. But this dualism is illusory. When people become depressed, yes, their brains are disordered in some still mysterious way. The idea that a serotonin deficiency is responsible is only a hypothesis and one that has been weakened over the years by studies failing to demonstrate such a biochemical imbalance. I have confidence that someday we will locate the brain circuits involved and that we will be able to rationally target them with biological cures. But we are still very far from that; the current crop of antidepressants work on neurotransmitters but they may help depression through mechanisms that have little to do with serotonin or norepinephrine. Meanwhile, we know that many people recover from depression without taking antidepressants--via the passage of time, or psychotherapy, or a placebo pill, etc.... PET scans have shown that cognitive behavior therapy leads to distinct brain changes in patients who recover from depression. Clearly, there are multiple different pathways leading to a "neurobiological" cure. So my question is, why don't we embrace all these potential cures rather than lining up behind our favorite technique to defend its merits? Drugs work. Therapy works. Time works. And placebos work. If psychiatrists and psychologists could possibly call a truce in their various battles over therapy effectiveness and prescription privileges, we might be able to imagine a different kind of practitioner--one who is skilled in both psychopharmacology and psychotherapy. Isn't this the kind of doctor we would all want to see when it's our turn to get help? Last week, I posted part 1 of my reaction to the JAMA study showing that antidepressants don't beat placebo for mild to moderate depression. The many comments I received were intelligent and informed--reading them will give anybody an instant education in the limitations of antidepressant research. It has been clear for years that antidepressants barely outperform sugar pills, at least in the artificial environment of the double blind, placebo controlled study. 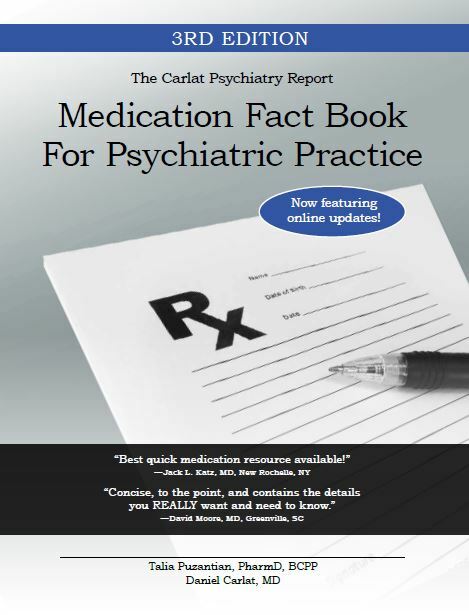 It is also clear that most psychiatrists in the trenches are perplexed by these results, because in our practices we appear to see people responding very robustly to antidepressants--including those with only mild to moderate symptoms. So what gives? I presented a hypothetical patient who became depressed because of financial woes, who saw a psychiatrist, received a prescription for Zoloft and Klonopin, and got better. Some commenters wondered why the patient was given medication rather than therapy. My answer is simply that in modern psychiatry, such a patient is more likely to be given meds, even though therapy may be just as effective. The reasons for this are complex, but have to do with how psychiatrists are trained (primarily, they are taught how to prescribe medications), how insurance companies reimburse (they pay twice as much for an hour's worth of medication visits than for an hour of therapy), and what patients want (many prefer the quick fix of medications over multiple therapy visits). I personally believe that psychiatrists should incorporate more therapy into their practices, but the current state of the field is as outlined above. Anyway, I then considered what would happen if the same patient got enrolled in a randomized, placebo-controlled trial of an antidepressant. Once accepted, he is told that he will be randomly assigned to either active medication or placebo. Let's assume that our patient lucks out and gets assigned to the latest SSRI, "Newexa," and let's further assume that Newexa works as well as all other SSRIs (like Zoloft or Lexapro). One would assume that since our patient is assigned to a drug that works as well as Zoloft, he stands the same chance of improvement. But not so. When patients are enrolled in preliminary "open label" studies, in which everybody is given the active drug, and there is no blinding, the response rates are in the 70-80% range. But when patients are given the same drug in the context of a placebo-controlled trial, the response rates plummet to the 40-50% range. 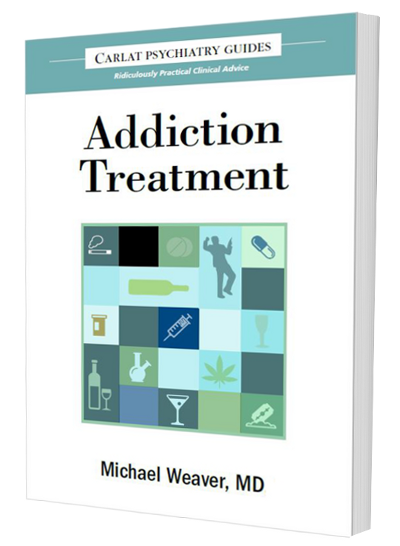 The reason for this is that if you strongly believe that you are taking an effective treatment, this confidence in itself boosts the effects of the drug. On the other hand, if you know that there is a 50% chance that you are taking a sugar pill, you have less confidence in the chances of a recovery. Essentially, by not telling patients what they are taking, researchers are turning down the volume of the placebo effect. But when I see a patient in my office, I do just the opposite. I try to maximize the placebo effect. I say things like, "I've had great success with Zoloft in patients like you....I would say you have an 80-90% chance of feeling much better within the next 2 weeks....These drugs are remarkably effective...."
So this is the crux of the issue. Response rates are always lower in randomized controlled trials than they are in the real world of the office, where our patients know exactly what they are taking. Thus, when I read about the measly outcome results of antidepressants in these trials, I take it with a big grain of salt. I interpret it in light of many other studies that have indeed shown antidepressants to be more effective than placebo in conditions as diverse as severe depression, anxiety disorders, and eating disorders. Rather than concluding that these meds don't work, I conclude that they do work, but that there is a large placebo component. In the best of all worlds, we would be allowed to prescribe sugar pills to patients, and we would presumably get a robust response without many side effects. This is considered unethical by the AMA. Nonetheless, according to this recent survey of 679 U.S. physicians, about half reported prescribing a placebo on a regular basis, most of which were "active" placebos--things like vitamins and over the counter pain relievers such as Tylenol. The bottom line is that while medicine could not survive without placebo-controlled trials, they are rarely generalizable to the real world. I view their results more as signals of efficacy rather than as definitive answers.